This Wednesday, February 14, we will hold an Ash Wednesday Service at 6 p.m. The title of Pastor Ted’s sermon is “The Soul Set Free!” Ash Wednesday is the first day of Lent, the 40 days that precede Holy Week and Easter. In the Scriptures, the number 40 relates to the period spent in the ark by Noah, the period spent by Israel seeking the Promised Land after the Exodus, and the amount of time Jesus was in the wilderness of temptation after His baptism and prior to beginning His ministry. For us, the season of Lent is an invitation to 40 days of renewal (“Lent” means “spring”), 40 days to prepare ourselves to take in the Good News of Easter through deeper disciplines of prayer, fasting, and almsgiving. Ashes are the traditional sign of sorrow and repentance and are also a sign of mortality. On each of the following Wednesdays (6 p.m.), through March 21, Session invites you to a Family Lenten Gathering of the Psalms, drama, dessert, and fellowship. Our Men’s Bible Study will begin on Wednesday, September 27, from 6:30-8:00 p.m. in Room 11 on the lower level. They will meet on the second and fourth Wednesday of each month, and will begin their year with a study of the Book of Ephesians. See study leader Tim Ferral for more information. Our Women’s Bible Study will begin on Wednesday, October 4, from 2:30-3:30 p.m. in the Lounge. They will study the book, Joining Jesus on His Mission: How to be an Everyday Missionary, by Greg Finke. See study leader Maureen Mannion for more information and to sign up. Leadership, and leadership development are something we take very seriously at Christ Alone Church. In our Leadership Development Course, our goal is to train godly leaders who will then teach others the truths of our faith. On Sunday, October 1, Pastor Ted will begin this fifteen week ambitious course. On that day, we’ll meet from 11:45 am. – 1:15 p.m. in Room 11 on the lower level. All members of the church are invited to participate because this course not only equips church officers (i.e., elders) but it also equips Sunday school teachers, small group leaders and others. We ask you to pray about taking this step in faith development. On the Narthex table, there are copies of the curriculum book plus a sign-up sheet. On Sunday, October 1, we’ll be starting the eight-week Membership Class for individuals wishing to join Christ Alone Church. Here, we’re interested in sharing the good news of Jesus with our next-door-neighbors and the world. We’re about knowing God and being faithful to Him. If you believe in the Church and would like to add your commitment to our kingdom-honoring work, we invite you to attend the classes, meeting from 4:00-5:30 p.m. (respecting the Packer’s game schedule) in lower level Room 11. If you think you would like to participate, there are materials and a sign-up sheet on the Information Table in the Narthex. Please pick them up at your earliest convenience. Our New Church Year Begins September 10! Our new church year begins on September 10 with our annual Welcome Back Sunday! At Christ Alone Church, we believe discipleship is vital to everyone’s Christian walk, and we believe that Sunday School is an important part of discipleship. We offer Sunday School for children and youth ages 4K-12th grade, and registration begins on Sunday, August 20. Sunday School begins at 8:30 a.m. Experiencing the Heart of Jesus: Do you have a basic understanding of Christ, but long for a deeper experience of Him? Through clear biblical teaching as well as engaging stories our new study, Experiencing the Heart of Jesus by Max Lucado, will help you not only understand, but taste, touch and see the freedom, grace and joy that Christ provides. Take this opportunity to explore and experience the indescribable riches of Christ’s love! This 10 week study begins at 9:00 a.m. and if you have any questions or would like to attend, please see Mark or Nikki Pittman. Reformation Study: Do you want to learn more about why the Protestant Reformation happened and why it has endured for 500 years? We live in a world that has been profoundly shaped by events that occurred in the sixteenth century. In addition to landmark developments in economics, government, and culture, this crucial century witnessed a powerful renewal of biblical Christianity. In this installment of his journey through church history, Dr. W. Robert Godfrey brings to life the stories of those who dedicated their lives to proclaiming the truth of God’s Word in the Protestant Reformation. This 14 week study begins at 8:30 a.m. and if you have any questions or would like to attend, please see Caroline Tromble or Jodi Buntin. Please join us for worship at 10:00 a.m. and immediately following worship (beginning at approximately 11:30 a.m.), you are invited to our church picnic! Youth Group: Youth Group at Christ Alone Church meets each Wednesday night at 5:00 p.m. for dinner and games. From 6:30-8:00 p.m. we move into lesson mode. Join us!! The Youth Group at Christ Alone Church is for youth in grades 6-12 and is focused on Bible study and service to our local community, to places in need in our country, and internationally with some fun included too! For more information, contact Youth Leader Joy Goeben. Men’s & Women’s Bible Studies: Watch for more information about our upcoming study! 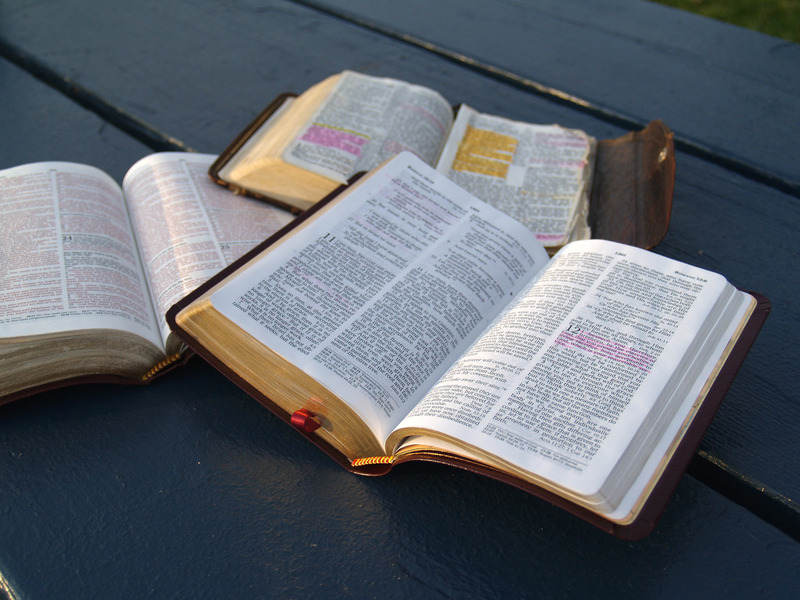 The Men’s and Women’s Bible study meets from 6:30-8:00 p.m. Popcorn & a Movie Night: Each month, we hold a Popcorn & a Movie night, where we enjoy popcorn, beverages and a family-friendly movie. Watch our website and Facebook page for upcoming offerings! The Men’s and Women’s Bible study groups will be meeting together every Wednesday beginning Wednesday, June 7, at 6:30 p.m.
Against all odds, 2,000 years ago 12 men turned the world upside down by dedicating themselves to these two spiritual disciplines. It was against all odds because the Roman Empire ruled the world with an iron fist. They won all their arguments by killing their enemies. The Empire was doing everything in its power to stop Christianity from spreading including feeding Christians to the lions! Today, we have the incredible perspective of being able look out over 2,000 years of recorded history, and what do we see? There are more Christians alive at this moment than the total population of the Roman Empire over its entire 500 year history, and the lions and the tigers are on the endangered spices list. Since neither God nor His Word have changed (For God to change He’d either have to get better or worse, that’s impossible, He’s perfect! ), the power of prayer and the ministry of the Word has not diminished. That means it’s available to anyone who is willing to do the will of God! The reason most prayer meetings are so poorly attended and boring is because we don’t understand the principles of prayer as revealed in the Lord’s Prayer! If you are interested, contact Ed or Ruth to order a copy of the book. Our Youth Group will continue to meet on Wednesdays, beginning with social time at 5:00 p.m. for a simple meal and games, and then moving into study time at 6:30 p.m. Contact Youth Leader Joy Goeben for more information. The Adult Bible Study will be doing two studies this summer, beginning on Sunday, May 28 at 8:30 a.m. In the light of the gospel, Burning Desire expolores the different fates of Jacob and Esau’s descendants, one of which will be blessed with a Saviour who will rise from the ashes of judgment with “healing in his wings”. In Promised Land, [leader Ray] Vander Laan illustrates how God guided his people to a specific place – the Promised Land – to impact the world both in ancient times and today. Just like the time and place of our birth shapes our journey, so the land and culture of the Hebrew people shaped their story. Promised Land provides wonderful context to the stories of that time. Contact leaders Caroline Tromble or Jodi Buntin for more information. Christ Alone Church serves a breakfast to anyone in need of a meal or companionship, and we welcome any help with serving or visiting with people. The breakfast is served from 8:00-10:00 a.m. and volunteers are asked to arrive at 7:00 a.m. Contact coordinators Deanna Snow or Joy Goeben for more information. Watch for monthly movie offerings, served with popcorn and beverages! The Men’s and Women’s Bible Studies will be resuming on Wednesday, April 26. Join us! The Men’s and Women’s Bible studies are not meeting in April, and will resume on May 10. Youth Group will continue to meet as scheduled.